Welcome to a very important Social Media Ministry. 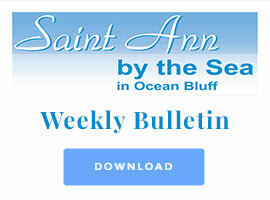 Saint Ann by the Sea Parish is located in the Ocean Bluff section of Marshfield. Download Easter Vigil music program. Download Easter Sunday music program.